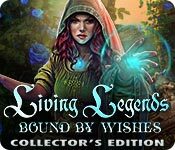 Living Legends: Bound by Wishes Collector's Edition is rated 4.5 out of 5 by 48. Rated 5 out of 5 by cforbin from Nothing is free What a twist on Sleeping Beauty. 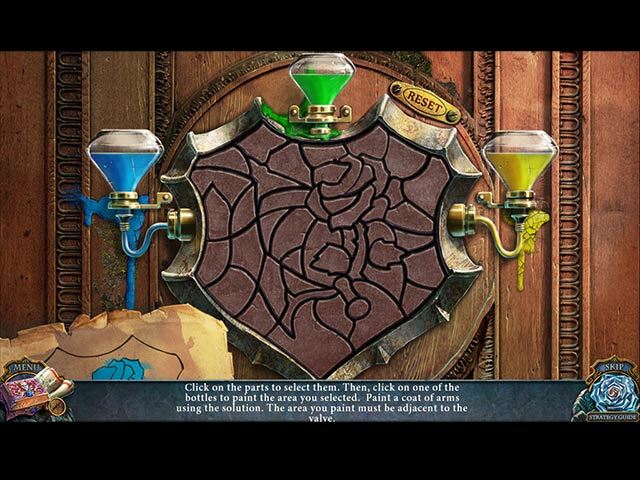 Well done graphics, great storyline, sufficiently difficult puzzles. Always loved collecting achievements. Worth playing again and again. Rated 5 out of 5 by Majestyx12 from Simply Lovely It's beautiful and a very detailed HOP. I bought the CE and just got around to playing this beautiful game. I'm happy that I bought it. From the shading of the roses, carvings on the piano, stained glass windows, cathedral ceiling with molding, arched pillars, it's a feast for the eyes. I Loved the story line and I am a adult. Very nice HOPs and easy puzzles, not many puzzles and I didn't mind not one bit. The storyline is Lovely. 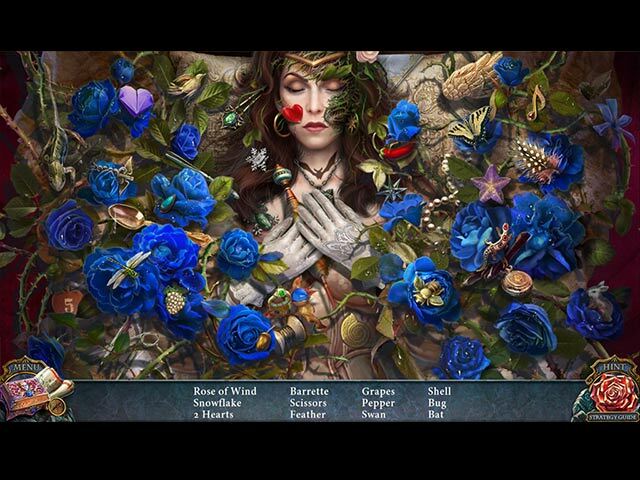 Rated 5 out of 5 by mamakatze from A Perfect Treat: Bound By Wishes This game is, to me, perfect in every dimension. I require visual beauty, pleasing soul/music, a good story line and characters that are believable and well drawn. Bound by Wishes is a 5-star hit in every category. Then, when I checked the developer online, I discovered that I have purchased ALL their games. That says it all. What a great game! I would highly recommend purchasing this wonderful visual feast game. Rated 5 out of 5 by plumblsm from Very Satisfying HOP This game gave me hope that developers still know what a HOP is...not just an 'adventure' game where you basically look for keys and tokens. The storyline flowed well with the tasks you had to do. The graphics were great and there were many HOPs to solve of all different kinds, lists, morphing, silhouettes, etc. There are also many mini games I wouldn't call many of them challenging, but that isn't a priority for me any way. Rated 5 out of 5 by navajoeyes2 from classic story with a rosy twist The story &, graphics, GREAT!! The little helper was a cute, feisty at first, a nice change. The story is more true to real life then people would think. "Be careful for what you wish for." The voices were perfect, enticing, evil and intriguing where needed. This is as good as a good chick flick, only in a game form. Rated 5 out of 5 by msfelixthecatz from I didn't expect to like this... Beautiful graphics, I slowed down just to drink it all in. Unrushed game with good ending. The bonus chapter was equally good. Thank you!! Rated 5 out of 5 by graceland9 from Fear, Fantasy, and Fun Hello, gamers - can we all agree what a meanie Mayor Tom is? Not only has he captured a prince, a miller, and other Wishville residents, he took the hero's husband! Oh no he didn't! Not only that, the villainous mayor binds his victims to contracts in order to fulfill their wishes. Even death can't help them escape, until you come along to release the poor, tortured souls and find your husband. But - will you be able to reach him in time? The graphics in this Wishville game are gorgeous. In fact, I want the opening drawing as a poster in my room. One of the cutscenes shows a boat between two cliffs, seen from above, and I felt like I was watching Lord of the Rings. Oh, and there's the cutest squirrel ever, even if he is a bit mischievous. I loved the HOS, with some cool interactions like finding all the keys to a strange casket. The puzzles were a bit easy, but I still enjoyed them. This was an instant buy for me. The demo sped past, and I was shocked when the hour was done. Rated 5 out of 5 by bunnydog from Could not stop playing! I abandoned all housework in order to finish this game.... I was so enchanted with the story that I could not take more than one break in order to find out how the story ends. There were a few mini-games that I ended up skipping, partly because they were challenging for me, but also because I wanted to find out what was happening to the characters. I haven't given a lot of games five stars, but this really deserves it as far as I am concerned. Rated 5 out of 5 by Fatalita from Great game! I really enjoyed this game and I really liked the bonus game. Getting the collectors edition was actually a plus since it helped you understand some things from the main game. The puzzles were good. I never had to skip a puzzle or use my hint, but there were times where I had to think hard about what I should do next. I also liked the morphing objects and the hidden roses in the scenes. I wish they would have continued that into the bonus chapter. 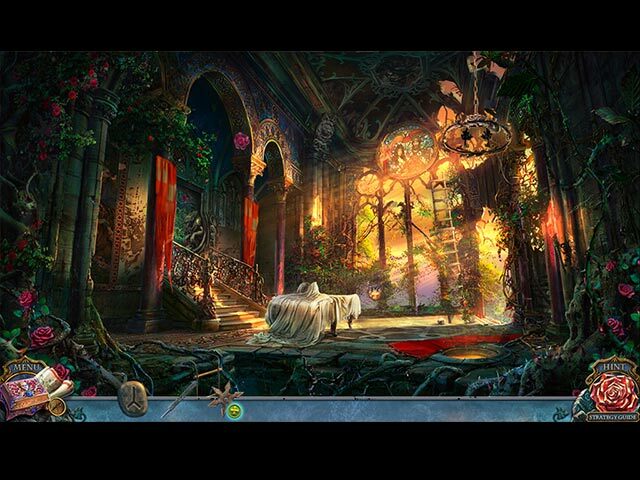 Rated 5 out of 5 by tenshi_nanashi from Fun and Interesting This was only the second hidden object game I've played and it was a lot of fun. I like the storyline, graphics, and voice acting. It's a fairytale and nostalgic in a way. The puzzles were entertaining and not too repetitive.